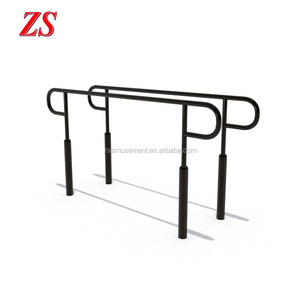 2 YRS Zhejiang Lanbao Amusement Equipment Co., Ltd.
2 YRS Zhejiang Zhongsheng Amusement Equipment Co., Ltd.
2 YRS Wenzhou Woozone Playground Equipment Co., Ltd.
95% of the products are exported to the US and Europe market, and conforms to the local safety regulations, such as the ASTM, CPSIA, and GS, CE, EN71 testing. We are professional at the new projects development, we have our own R&D department, every year, more than 100 projects development will be finished, and the market feedback is very good, and get very large volume order for our customer. We have strict QA/QC standard to guarantee the product quality, including the material, half finishing, packing, shipping, with very close monitoring on the whole quality. 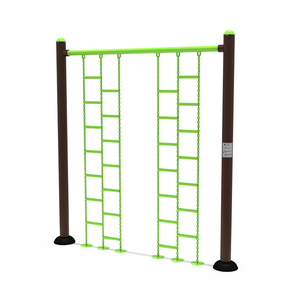 1 YRS Hebei Baiyi Sports Equipment Co., Ltd.
2 YRS Xuzhou Ruibu Fitness Equipment Co., Ltd.
13 YRS Huadong Entertainment Equipment Co., Ltd.
5 YRS Wenzhou Aplay Edu And Toy Supplies Co., Ltd.
Should you need further information about plastic children outdoor playground equipment, please contact us. All the products have been exported to worldwide countries for many years. And moreover, we can surely offer you installation and maintenance after service. .
3 YRS Shenzhen Newday Technology Co., Ltd.
13 YRS Wenzhou Kidsplayplay Toy Co., Ltd.
2 YRS Wenzhou Jiqi Amusement Equipment Co., Ltd.
2 YRS Hebei Shengchuan Sports Equipment Manufacturing Co., Ltd.
9 YRS Changzhou Yingcai Metalwork Fitness Equipment Co., Ltd. Please inform us formally before our production and confirm the design firstly based on our sample. Q:Do you offer guarantee for the products9 A:Yes,we offer 5 years warranty to our products. Our products are produced in strict quality control system and the defective rate will be less than 0.2%.Secondly. 3 YRS Zhejiang Xinao Sports Equipment Co., Ltd.
3 YRS Huaxia Amusement Co., Ltd.
5 YRS Qitele Group Co., Ltd.
10 YRS Zhejiang Feiyou Kangti Facilities Co., Ltd. 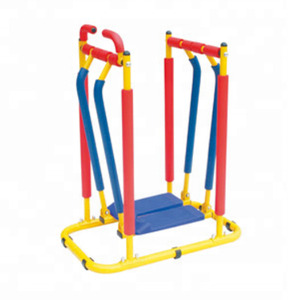 Kids Gym Equipments has been an interesting product in the Gym Equipment market over the past year, and it was very popular in India,United States,Wales,Canada and Australia; As shown in the distribution chart, market shares of these countries are folowing: [ IN:21.59%, US:20.79%, GB:10.80%, CA:4.74%, AU:4.44%, other:37.64%]. 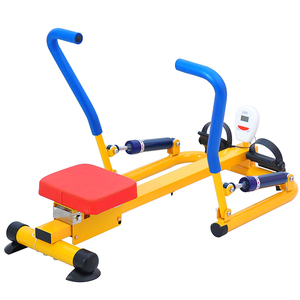 What's the trends of Kids Gym Equipments product's market in 2018 (Dec 2016 to Jan 2019)?we have studied one years data on online sales, global shipping, search, sourcing and requirements of following products Indoor Playground. Strength Equipment,Here is the report.During the research period (Dec 2016 to Jan 2019), the major trends are as following.